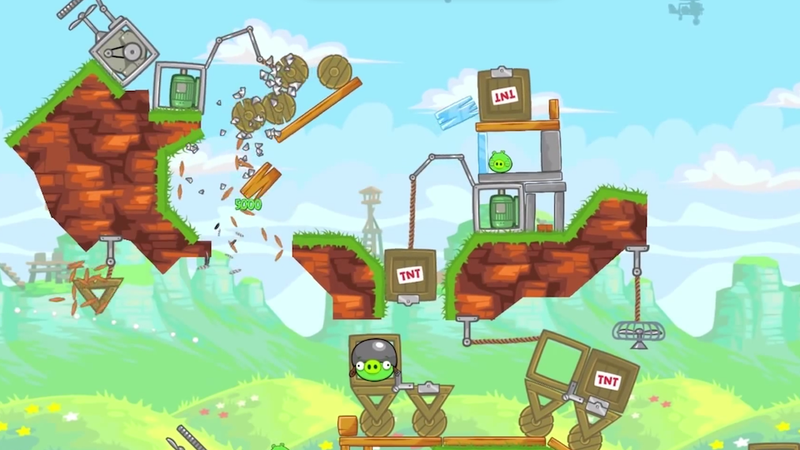 The maker of Angry Birds, one of the world's most popular video games of any type, today said it "does not share data, collaborate or collude with any government spy agencies." The statement follows a report yesterday that said American and British spies have harvested data collected by the game. "Our fans' trust is the most important thing for us and we take privacy extremely seriously. We do not collaborate, collude, or share data with spy agencies anywhere in the world," Rovio insisted. Angry Birds was described as a so-called "leaky app" whose information collection—of users' locations, friend lists and the like—could be exploited by American and British spy agencies. Documents leaked by Edward Snowden, a contractor for the U.S. National Security Agency who last year blew the whistle on wide-ranging and unknown surveillance activities, described spies' efforts to collect and store this kind of data as early as 2007. That said, "The alleged surveillance may be conducted through third party advertising networks used by millions of commercial web sites and mobile applications across all industries," Rovio said. "If advertising networks are indeed targeted, it would appear that no internet-enabled device that visits ad-enabled web sites or uses ad-enabled applications is immune to such surveillance." Rovio is basically saying it doesn't cooperate in surveillance, and if its games show up in news accounts of spying activity, it's because they're big names, not necessarily because they are targeted or have collaborated with spy agencies. "We will, like all other companies using third party advertising networks, have to re-evaluate working with these networks if they are being used for spying purposes," Rovio CEO Mikael Hed said in the statement.